In late December 2013, the Federal Energy Regulatory Commission (FERC) reversed more than 90 years of precedent and statutory interpretation when it issued an order holding that municipal preference under section 7(a) of the Federal Power Act (FPA) applies only to hydropower projects located in the “vicinity” of the municipality. The case began in February 2013, when two entities filed preliminary permit applications to study the feasibility of the Saylorville Dam Water Power Project in Iowa. Van Ness Feldman client Western Minnesota Municipal Power Agency (WMMPA), located approximately 400 miles from the project site, claimed municipal preference under FPA section 7(a); the other applicant was a non-municipality. Instead of applying the municipal preference to award the permit to WMMPA, FERC held a drawing to determine which application would be granted priority, and the non-municipal applicant won. In its order granting the permit to the non-municipal applicant and denying municipal preference to WMMPA, FERC significantly limited the scope of the municipal preference it has applied since the passage of the FPA by declaring that the preference applies only to municipalities developing hydropower projects that are “located in their vicinity.” Without clear geographic parameters regarding a municipality’s “vicinity,” there are likely to be many disputes in competitive proceedings about whether a proposed project is in the “vicinity” of the municipal applicant. WMMPA and the American Public Power Association have filed requests for rehearing of FERC’s order, so stay tuned. On January 6, 2014, FERC issued a Notice Soliciting Pilot Projects to Test a Two-Year Licensing Process (Notice). The Notice follows FERC’s October 2013 workshop to solicit recommendations on the feasibility of a two-year licensing process, which the Hydropower Regulatory Efficiency Act of 2013 (HREA) directed FERC to investigate. According to the Notice, eligible pilot projects must: (1) be located at a non-powered dam or be a closed-loop pump storage project; (2) cause little to no change to existing surface and groundwater flows and uses; and (3) be unlikely to adversely affect federally‑listed threatened and endangered species. In addition, if the project is proposed to be located at or use a federal dam, the request must include a letter from the dam owner that the applicant’s plan of development is conceptually feasible; if the project would use any public park, recreation area, or wildlife refuge established under state or local law, the request must include a letter from the managing entity indicating its approval of the site’s use for hydropower development; and if the project is closed-loop pumped storage, the project must not be continuously connected to a naturally-flowing water feature. Eligible projects must be fairly far along in the planning process. Specifically, a prospective applicant’s request must show an adequate consultation record, include a pre-application document and proposed study plan, identify potential environmental impacts of the project, and include a process plan and schedule. Requests to test a two-year pilot process must be filed with FERC between February 5, 2014 and May 5, 2014. At FERC’s January meeting, FERC staff reported on FERC’s efforts implementing the two-year licensing process and FERC’s implementation of the other requirements of the HREA, including qualifying conduit determinations and preliminary permit term extensions. On December 13, 2013, the administrator of the Bonneville Power Administration and the Northwestern Division engineer of the U.S. Army Corps of Engineers—together, the U.S. Entity—issued a recommendation to the U.S. Department of State on the future of the Columbia River Treaty. The Treaty was originally negotiated in the 1960s by the United States and Canada to address flood control and hydropower production on the Columbia River, and it can be modified or terminated after 2024 with 10 years’ notice. The U.S. Entity met with a range of stakeholders including the Northwest states, federal agencies, hydropower producers (including a coalition of utilities represented by Van Ness Feldman), Native American tribes, and environmental groups in developing its recommendation. The recommendation urges the State Department to rebalance the hydropower benefits of the original treaty, formally incorporate ecosystem benefits into the treaty framework, and integrate climate change assessments into the flood control framework. The State Department has indicated that an inter-agency group will now review the recommendation on behalf of the President. On December 5, 2013, President Obama issued a presidential memorandum establishing a renewable energy target for federal agencies of 10 percent of the total amount of electric energy consumed by each agency by 2015, and 20 percent by 2020. Agencies will be able to meet these goals by installing renewable energy on-site, purchasing renewable energy certificates, and contracting for renewable energy projects at federal facilities. New hydropower achieved from increased efficiency or additional capacity at existing projects, as well as hydrokinetic projects, qualify. This memorandum builds on the sustainability goals first set forth in Executive Order 13514— issued in 2009 and entitled “Federal Leadership in Environmental, Energy, and Economic Performance”—and is intended to improve agency energy consumption and reduce greenhouse gas emissions. As Congress reconvenes this session, its initial hydro-related focus will likely be on moving forward several bills introduced last session. Passage of the 2013 Water Resources Development Act (WRDA), for example, will be a priority issue for Senate Environment and Public Works Committee Chairwoman Barbara Boxer (D-CA) and Ranking Member David Vitter (R-LA). Specific provisions of note for the industry include language in the Senate version of the WRDA bill (S. 601) that aims to improve the environmental review process by giving priority to the development of non-federal hydropower at U.S. Army Corps of Engineers facilities. This language was not included in the House-passed version of the legislation (H.R. 3080), and negotiators have been unable to reach a compromise between the two versions of the bill, which more broadly addresses a wide range of issues relating to water resources. However, both Senators Boxer and Vitter have indicated they hope a conference report on the bill will be released in early 2014. Other hydropower-related legislation in the queue includes the Hydropower Development Equity and Jobs Act (H.R. 1963), which would authorize conduit hydropower development at certain Bureau of Reclamation projects, and the Marine and Hydrokinetic Renewable Energy Act of 2013 (S.1419), which seeks to improve the approval process for hydrokinetic projects using wave, tidal and current energy. Currently H.R. 1963 is awaiting action in the Senate after passing the House in early December 2013, while S.1419, sponsored by Senate Energy Committee leaders Ron Wyden (D-OR) and Lisa Murkowski (R-AK), awaits consideration by the Senate Energy Committee. Senator Mary Landrieu (D-LA), who is poised to replace Senator Wyden as Chair of the Committee, brings recent and active experience in promoting hydropower within her state. Finally, Senate Finance Committee Chairman Max Baucus (D-MT) has released an energy tax reform discussion draft that impacts incentives for the hydropower industry, including the production tax credit, investment tax credit, Clean Renewable Energy Bonds, and the 48C advanced energy tax credit for manufacturers. While the likelihood of meaningful action on the energy tax reform bill decreased after President Obama announced Senator Baucus’s nomination to be the next ambassador to China, this language could be used for future energy tax reform proposals. 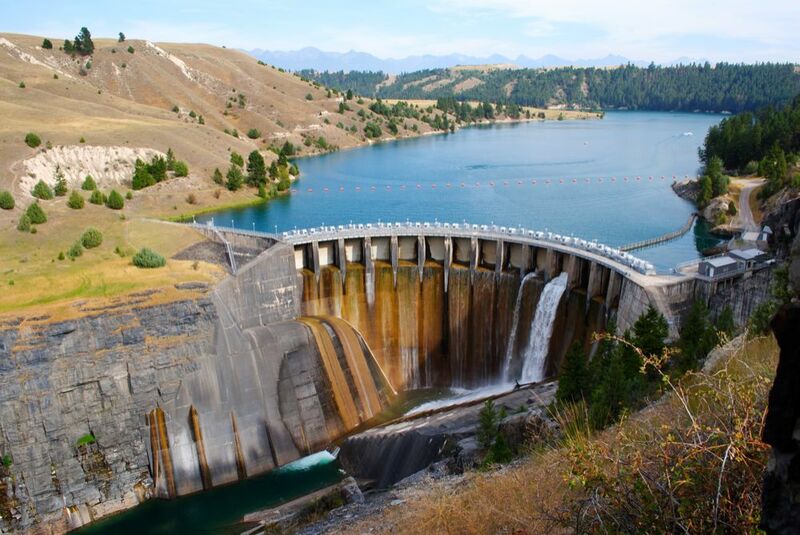 The Department of Energy recently issued a report entitled Grid Energy Storage, highlighting the United States’ power grid’s dependence on pumped storage hydropower, which makes up 95 percent of total grid energy storage. Commissioned by Senate Energy and Natural Resources Committee Chairman Ron Wyden (D‑OR), the report acknowledges that energy storage plays a crucial role in increasing grid resilience, improving operations and efficiency, lowering costs, and deferring additional infrastructure investment. It highlights four challenges to the widespread deployment of energy storage: cost competitive energy storage technologies (including manufacturing and grid integration), reliability and safety, equitable regulatory environment, and industry acceptance. The report identifies pumped storage as a mature commercial utility-scale technology with very specific geographic requirements making its installation heavily site-dependent. The report indicates that new capabilities of pumped storage, through the use of variable speed pumping, is opening the potential for provision of additional services that could be used to assist in the integration of variable generation sources—an ongoing interest at FERC. Julia Wood, Michael Pincus, Megan Walters, Sharon White, Gabriel Tabak, and Mealear Tauch contributed to this edition. © 2014 Van Ness Feldman, LLP. All Rights Reserved. This document has been prepared by Van Ness Feldman for informational purposes only and is not a legal opinion, does not provide legal advice for any purpose, and neither creates nor constitutes evidence of an attorney-client relationship.